outward or axially into a diffuser or volute chamber, from where it exits into the downstream piping system. 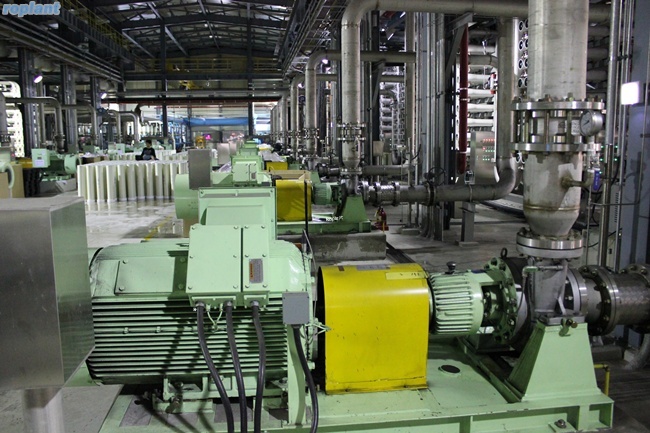 Centrifugal pumps are typically used for large discharge through smaller heads. the fluid's rate of flow. A volute is a curved funnel that increases in area as it approaches the discharge port. the hydraulic pressure on the shaft of the pump. pump also consists of a water intake point and a water discharge point. pressures and lower flow rates than axial and mixed flow pumps. head-discharge characteristic in relation to radial and mixed flow. handled and where delivery pressure is quite large. used at high pressures. This type of pump is often used to transfer municipal and industrial sewage. • A piston pump is a type of positive displacement pump where the high-pressure seal reciprocates with the piston. pump, which dates to antiquity. pump is also called a membrane pump. pipeline system, and a pressure wave propagates in the pipe. It may also be known as hydraulic shock. ※ Consider a long pipe AB : Connected at one end to a reservoir containing water at a height H from the center of the pipe. At the other end of the pipe, a valve to regulate the flow of water is provided. returning back to the valve and so on.